Imperial 6 seater Imperial Landaulette wedding car. 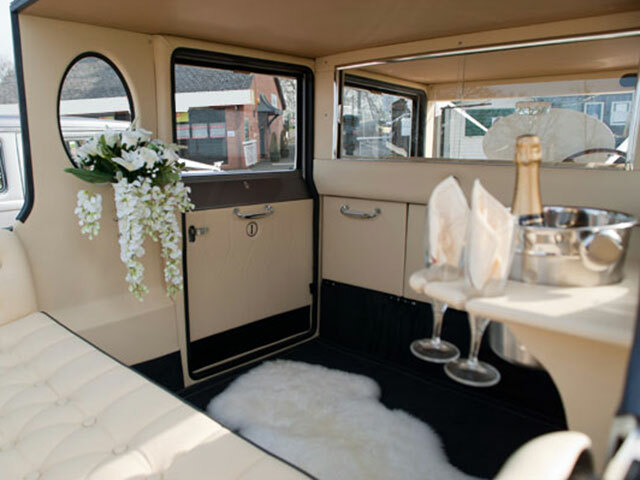 Brand new and perfect for wedding all year round with rear heating. 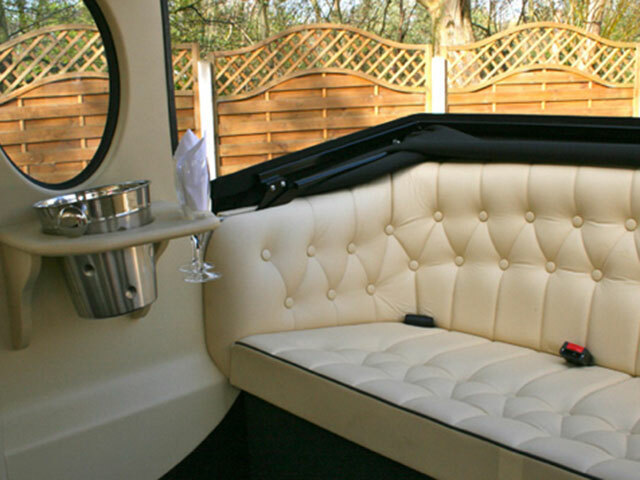 This 1930s style beautiful 6 seater car boast all the luxuries of a modern day car with music, rear heaters and a roof that takes seconds to fold down for the perfect pictures whilst keeping its vintage look. The only cream Imperial in east anglia. 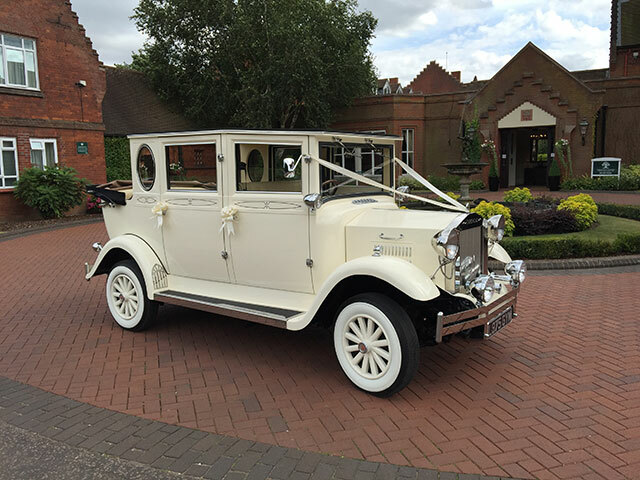 Our most popular wedding car.